These are three terms that can cover what I'm doing, but I've also seen enough debates of what one is calling this hobby that it is clear that some people find it important to distinguish them from each other. Personally I'm calling myself a costumer. For me it's the crafting of the costume and the wearing of the costume that is the important thing. I am the kind of costumer that likes pretty things, and I love the chance of being able to wear corsets, big skirts, silks and velvets. This also means that I enjoy making the costume, almost as much as I enjoy wearing it. This is of course also the reason why I'm not satisfied with just one costume, but wants to just continue with a new project as soon as I've finished a costume. I do not consider myself a cosplayer. I've seen quite derogatory remarks from costumers towards cosplayers, and don't agree with that. The reason why I'm not calling myself a cosplayer is simply because I don't consider myself a good actor. I definitely have a problem stepping into a role, and become a certain character. I really admire cosplayers that "are" the character they are portraying. Now sometimes, especially when it comes to my SW costuming, I definitely do cosplay. 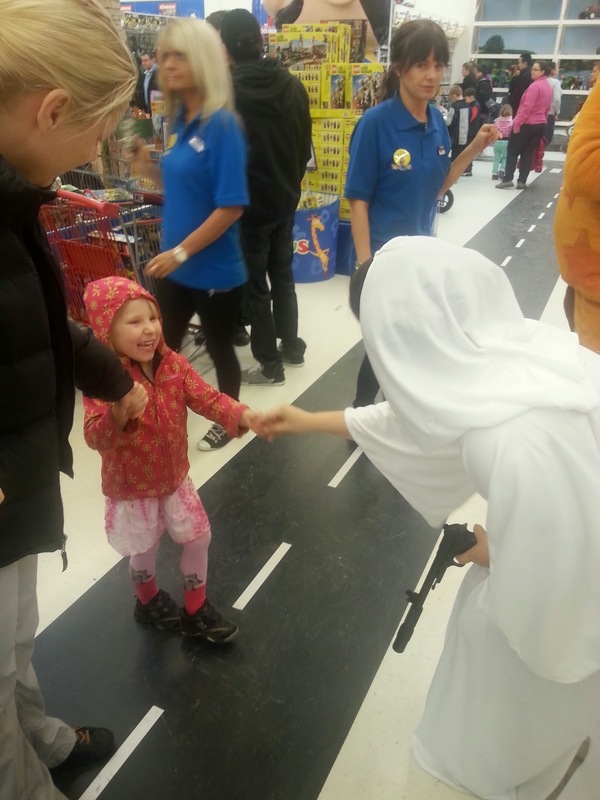 This is definitely cosplay, since the little girl was so happy to meet the "real" Princess Leia, and I do act like her when it's expected of me. It's never been my main motivation for a costume though, in fact I only did the Leia costume because we needed a classic Leia in Sweden. When people ask me about my cosplay, I don't mind talking about my costuming though, since cosplay is more and more becoming the generic word for dressing up in something more than just a masquerade costume. I'm not an historical recreator either. I think it's great that you have people who are really into showing history as it really was, and trying to recreate all the details of the past. 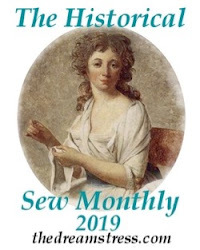 Even though I research my historical costumes as thoroughly as possible, and try to get more and more accurate with my techniques, I don't mind using a sewing machine for sewing long seams. Once again just like with cosplay I'm not into getting a persona and trying to recreate the behaviour of people in the past, I just want the pretty clothes. This was my first "serious" historical costume, and ironically enough this is probably the closest that I've gotten to historical recreation. I used a lot of machine sewing, but it was a costume where I really thought hard about what would be a suitable dress for a person of this particular class of people in society. Nah, I think this costume is a perfect example of myself. 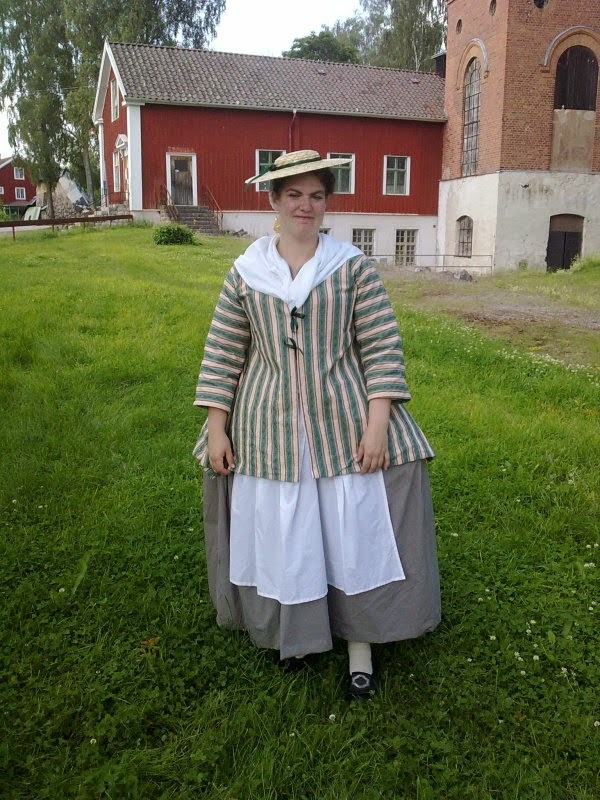 This is me, a girl in 2013, who really likes wearing beautiful costumes. 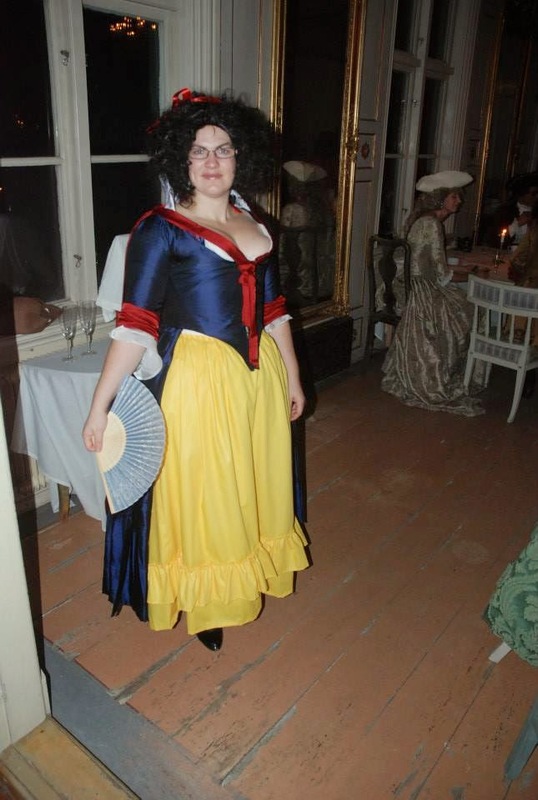 I'm not an 18th century lady, and I'm definitely not a timetravelling Snow White. If you call me a cosplayer I'm really fine with it, and if you call me an historical recreator I will be very flattered, but costuming is what I call my hobby. 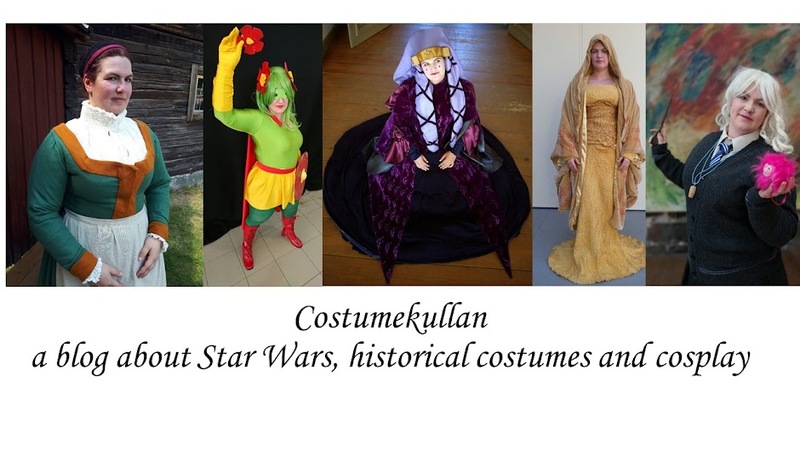 Costuming is also good since it covers everything, from history to the future, films and fantasy.